It’s been a busy busy month, but probably the greatest in a long time. 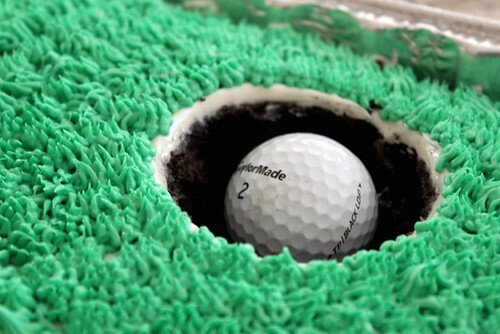 At the start of the month I wrote my Future Letter and celebrated my dad’s birthday with a homemade Golf Cake. I also created a Gratitude Jar in an effort to start a new Thanksgiving Tradition. 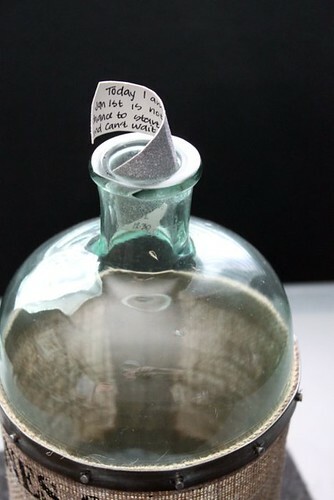 Now, everyday I add a slip of paper to the jar listing something for which I’m grateful. It’s already filling up which reminds me everyday that life is pretty great even when it doesn’t feel that way. These will be fun to read through over the Thanksgiving holiday. 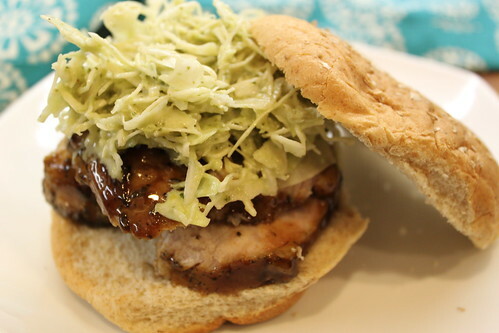 I introduced you to my very messy garage, developed a whole house cleaning plan, signed up for a library card, and made a melt in your mouth Balsamic Pork Sandwich. 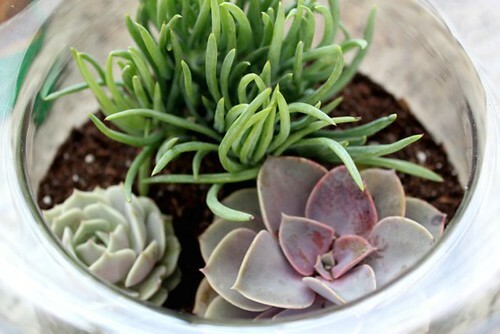 Later in the month I planted a lovely Succulent Terrarium (which is still alive! 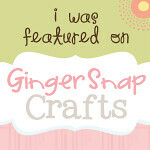 ), shared how I store the recipes I pull from magazines, and professed my love for Word Art & Chevron designs. 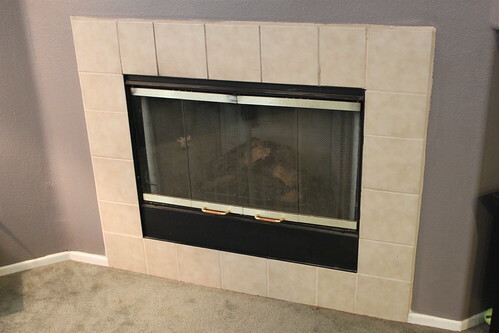 Perhaps the biggest accomplishment was that I finally finished the living room fireplace. After finishing the fireplace I slowed things down a bit and skipped a few days of blogging; however, things did not stop completely. I built my own photography light box, turned some soup cans into an herb garden, made some delicious biscotti, and shared my winter skincare routine. In addition to the above I also reached a few weight loss milestones since I lost 25 lbs. However, I haven’t made any mention of it beyond this post because right after posting my scale broke. It told me I weighed 0 lbs. So I purchased a new scale at Costco that was a piece of crap. It worked only when it wanted to, and told me I gained 20 lbs overnight. I have purchased another new scale, but I’m still having trouble getting a consistent reading. So for now, I’m just going by how I feel and how my clothes fit (which is better than before). Can you believe January is already over? I’ve been trying to come up with some witty intro all day, but it’s Monday, and my brain hurts. When I set my 2012 goals, I really wanted to work on reading more and watching TV less. So far so good since I haven’t really sat in front of my TV at all this month. My DVR is giving me that little flashing message which I’m pretty sure means it’s going to self destruct anytime. It’s been fun disappearing into a good book lately. One of my first rentals, when I got my Library card earlier this month, was a design book that I’ve had my eye on for a while. There was always something about this book that intrigued me, but I could never bring myself to buy it. 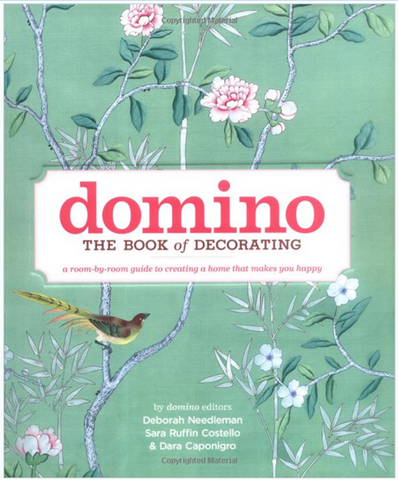 I was a big fan of Domino magazine, and the book had the same great information. 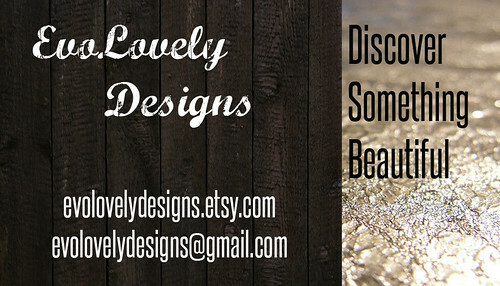 It walked me through the design process, and I think it would be great for anyone that was just starting design or a hobbyist. I thought it was an excellent resource and had some really great inspiration pictures; but I own other books that covered the same basics so I probably won’t buy it for myself. This book is a testament that even with the library, I will still pay for books. 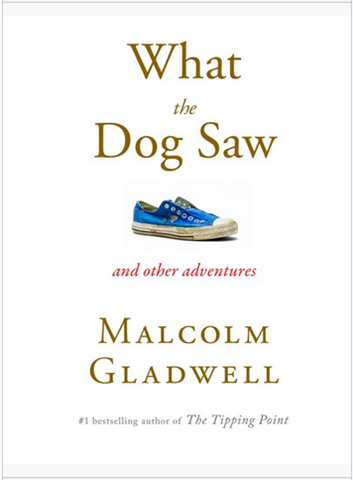 I had heard so many great things about this book that I was bummed when my library had it on hold. 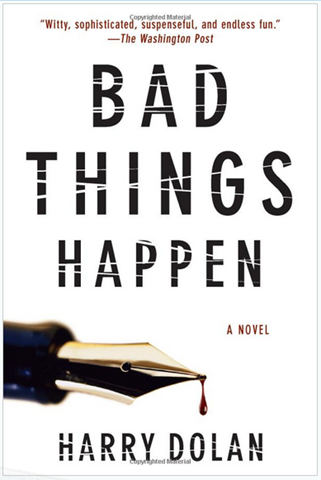 It wouldn’t be available for a few months, so I checked the kindle price ($12.99), which was a little steep for me. However, I found it a few days later at Costco for a few bucks cheaper so I bought it. I’m a sucker for Costco’s cheap book prices. Verdict: LOVED IT! It also scored a reading record since I finished it within 3 hours. 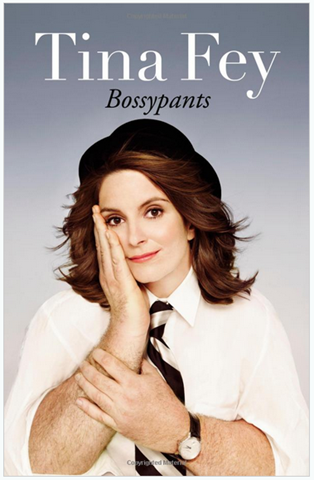 It’s an easy read and hilarious, exactly what everyone told me it would be. Another Coscto book purchase, mainly because I liked the cover and the story idea. It was a murder mystery that had a few really good twists and turns. I’m usually the person that figures out the ending pretty early on and this one caught me off guard again and again, totally didn’t see it coming. The book does drag a bit, I wish it had been a bit shorter, but overall a good story for a rainy weekend. Earlier this month I made a trip to my local Barnes & Noble, looking for a specific computer book that they didn’t have at my library. Turns out they were also having a big clearance sale…lucky me. I picked up this book for about $5 and it was worth every single penny. 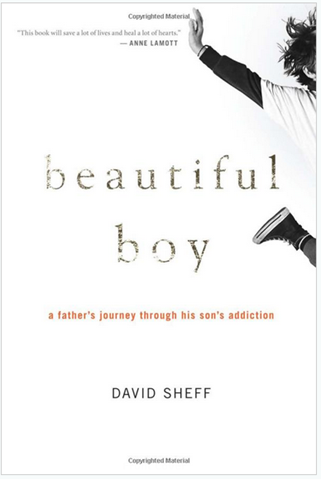 I really love biographies and this was a very well written story about a dad dealing with his sons addiction. It was gritty and beautiful. It was also really interesting to read since his son is the same age as me and I recognized a lot of the world his son lived in. This was another book that I picked up at the BN clearance for about $5. I was impressed with the first part of the book, interesting accounts from news articles that the author had written in the past. The story about the infomercials was really fascinating. However, I was so bored in the second section that I stopped reading it. I also found that I was scanning a lot when I read, as I felt some were so way over told. Lots of information, some was fun, some put me to sleep. I’m a little sorry I paid for this book, but a few of the articles that I read were good enough to at least rent the book if you wanted something fun to read. Living in Southern California, winter is mild. Having lived near the beach most of my life, I had never really experienced a dry skin winter, but things have changed. Moving inland has hampered more than my love for an ocean breeze. 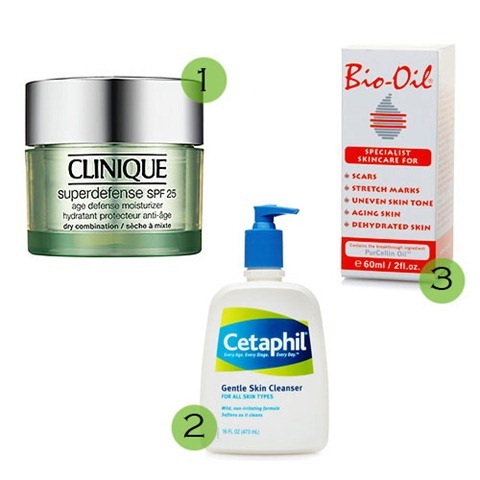 I also have some serious dry skin during the winter and it took me the entire cold season last year to figure out the perfect winter skincare routine for me. In reality, the winters anywhere in So Cal are mild in comparison to other parts of the country. I don’t deal with snow or below freezing temperatures. I never use to be the type of person who changed their skincare routine with the season, I’ve been very lucky to only deal with an occasional breakout. Maybe it’s because I’m almost 30 or maybe it really has something to do with the move inland, I’m not sure. What I do know is that this works for me. I’ve been washing my face with Cetaphil for years and it’s never let me down.If I don’t have Cetaphil then I’ll use Dove, they are my favorites. I also use a Clairsonic face brush year round, usually only at night. After washing my face, while my skin is still damp I use the Bio Oil, it’s the only thing that stops my face from getting too dry. I also use this year around, but I use it twice a day during the winter months. During the summer I use a lighter sunscreen, but when I need something thicker I always go for Clinique Superdefense, it’s thick but soaks in without feeling greasy. The only other thing, not listed, is Clinique All About Eyes. I don’t always use it everyday, but I always keep it in my medicine cabinets for the puffy eye days. Once a week I use a face scrub in the shower, Khiel’s Pineapple Papaya Scrub is my absolute favorite. It’s very gentle and works miracles. You don’t need a lot to do the job, so usually lasts a long time. I tend to jump from body lotion to body lotion, always looking for a new favorite, but always come back to two. For super dry days I use Vaseline Intensive Rescue; but my usual ‘go to’ winter lotion is Lubriderm Daily Nourishing. I could say it’s for the great formula, but really it’s because the smell reminds me of summer and it isn’t greasy. For the days when I need a little extra moisture for hands or face, I use Josie Maran Argan Oil Stick. It’s easy to carry around, smells great, and works like a charm. I also keep lip balm with me 24/7, but I don’t have a favorite brand. I have them all over the house, and in every purse, so I’ll use whatever is within reach. 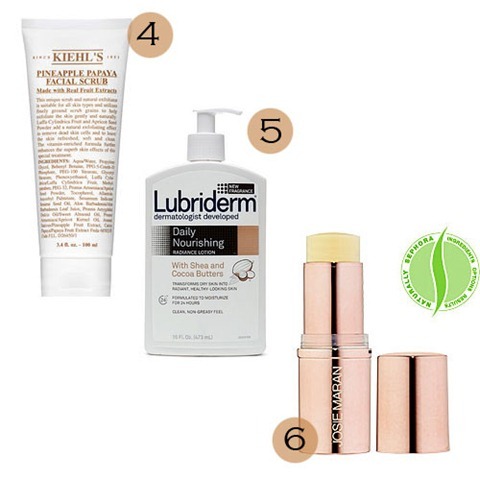 What are your winter skincare favorites? Earlier this month I shared my Garage before pictures. What I haven’t mentioned is that I’ve also started redoing the Spare Bedroom this month. 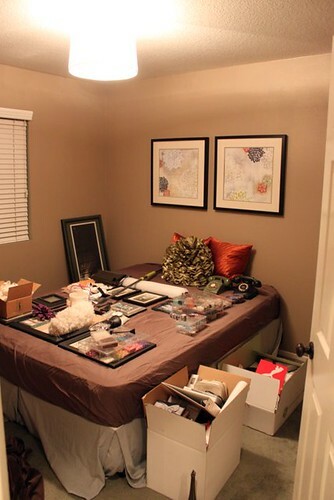 The spare bedroom has been a challenge in every way. When I purchased the home it was all green. 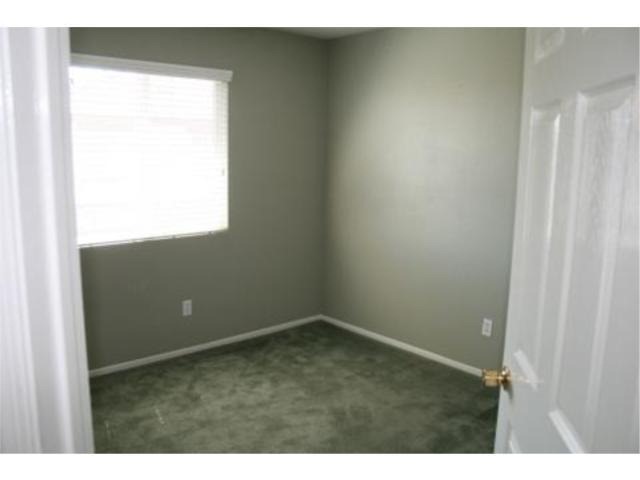 The walls were sage green, the carpet was (and still is) sage green. Every room in the house looked the same way, lots of green. The wall color is actually quite nice, but there is just so much of it that it was overwhelming. 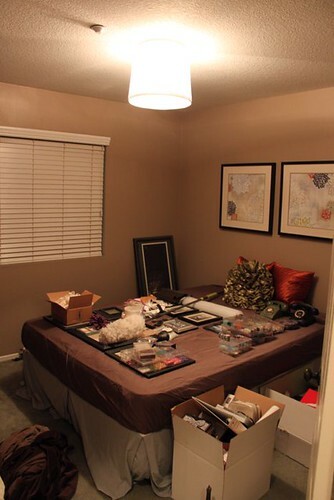 At first this room was supposed to be an art/writing studio, not a spare bedroom. 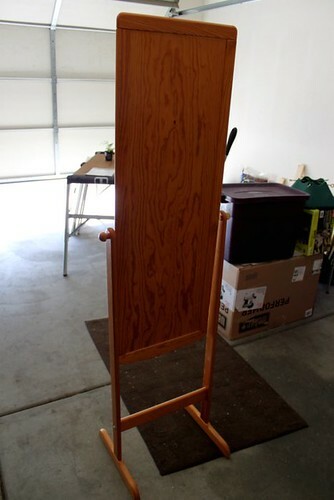 I planned on outfitting it with a large drafting desk and a comfortable chair. It was supposed to be a place where I could go and feel artistic. However, a few months after I moved in my brother decided to move across country and offered me a queen mattress/bed frame. My logic brain kicked in and decided that a Spare Bedroom would be smarter than a second office/studio. In the meantime I had painted the room a mix of lime green and dark DARK grey. It was a great theory, but it looked awful. So if you’re counting, that’s two changes for this room already. In the matter of a few months I had changed the plan from art studio to spare bedroom, and had changed the color from sage green to a green/grey mix. Once the Spare Bedroom decision was made I thought a neutral color was the way to go, so off to Lowes I went AGAIN. This time around I picked a light brown. The color really isn’t bad, but I just don’t love it. The bummer is that I had started buying accessories for a brown room. At some point I realized I had no idea what I was doing so it became a storage room. 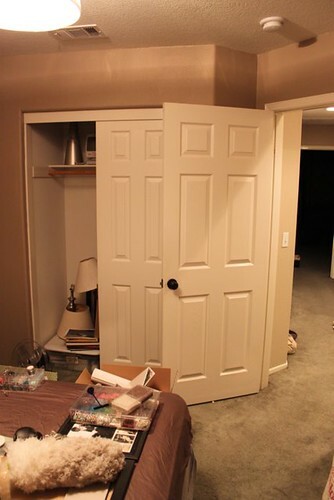 Most of the time I leave the door closed and try to forget the room is even there. Even though the brown theme isn’t bad, it’s just not working. Once again I’m left with what felt like a failed design. I’m not just giving up on this room, so I have a new plan. I realize there is not a a lot of direct light into this room, even with the blinds open. The colors need to be light and I’m going to stick with a neutral theme. I plan on going with white wainscoting/bead board and grey walls. 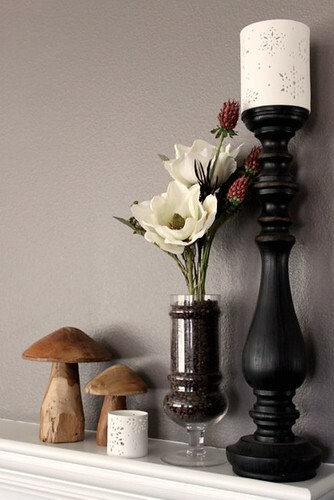 This will keep the room light and allow me to bring in a few fun accent colors. 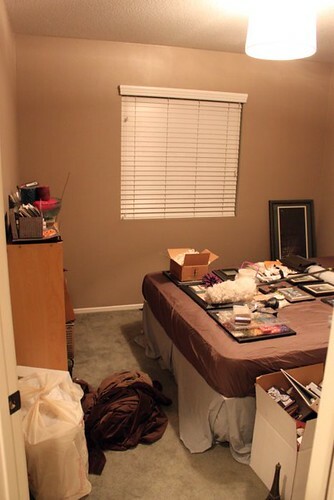 I’ve already started purging the room and organizing all the random stuff in the pictures above. 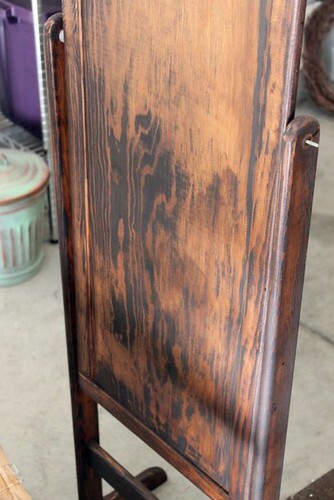 I also tried my hand at refinishing a standing mirror. 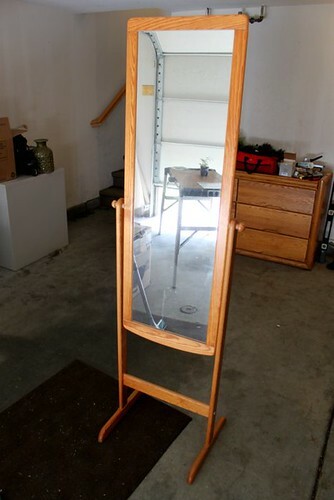 This mirror was also given to me by my brother, but the wood color was just a little too light for me. I wanted this piece to be a darker finish to pop against the white moulding. Unfortunately in true form to this room, my original plan didn’t work. Like everything else with this room, it’s not bad, but I just don’t like it. 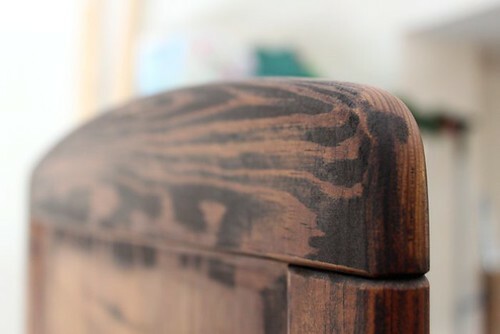 The wood grain is too dark and the rest of the wood is too light. Don’t mind the uneven sanding which didn’t help the issue. So the mirror is on hold for now. My first reaction was to paint it dark brown or break out the ORB, but I don’t know if that’s the right move. I think I might want to bring in the ‘pops’ of color in the mirror so it might end up an aqua color. In the meantime I’m pulling inspiration from everywhere. This is a little bit of what I’ve found as inspiration for the finished room…here’s hoping things start going right in this room from here on out. I first made this recipe for Christmas dinner and it was a big hit. 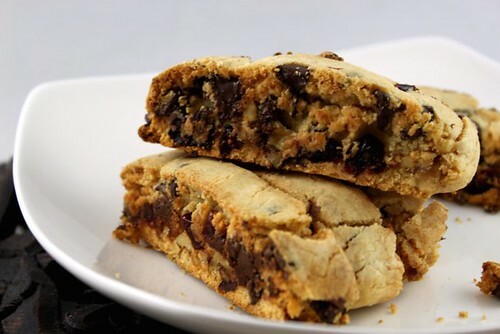 I would have had the recipe posted sooner, but the pictures I took of the biscotti over Christmas were terrible. So today I made a new batch and it turned out even better than the first recipe. I added more chocolate, that probably had something to do with it. Cream the butter and sugar together. Add the eggs, one at a time. 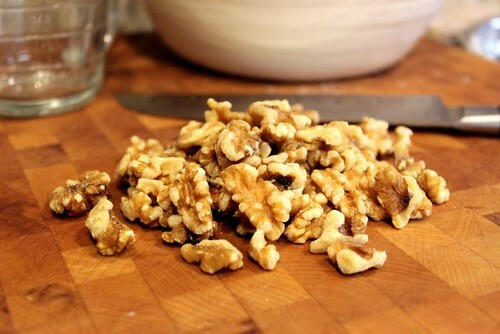 Add the Almond Extract. 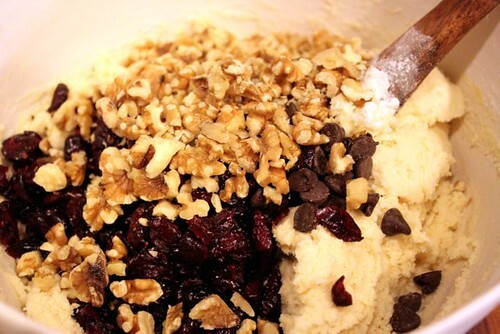 Combine the flour mixture and the butter mix until well combined. 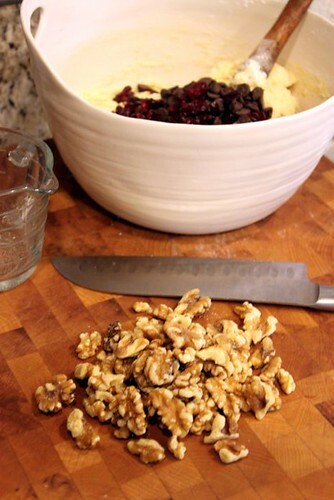 Add the cranberries, chocolate, and walnuts. 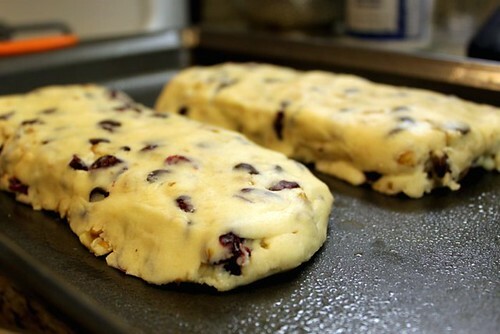 Things will be sticky at this point, you may want to use your hands to mix the dough at this point. 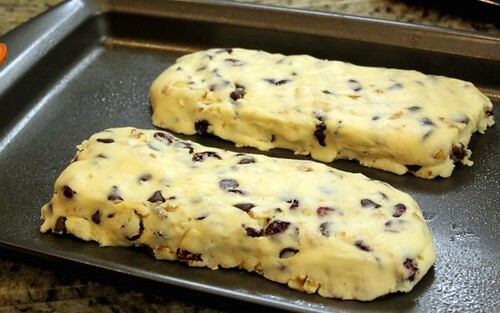 On a floured cutting board shape the dough into two logs then place them on a greased cookie sheet. Bake at 350 for about 25 minutes or until the sides are light browned and the top is set. Cool the logs for 30 minutes; lower your oven temperature to 300 degrees. 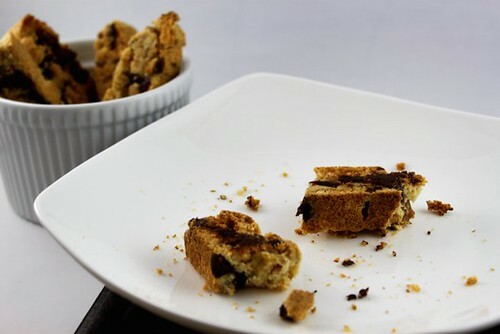 After cooling for 30 minutes, use a serrated (bread) knife to cut the logs into biscotti. The thinner you cut them, the crispier they will be. I like mine a little chewier than most, so I tend to cut them about 1 inch thick. If you like standard crispy biscotti, cut them about 1/2 inch thick. Lay them back on the cookie sheet, cut side up. Bake at 300 for about 15 minutes. 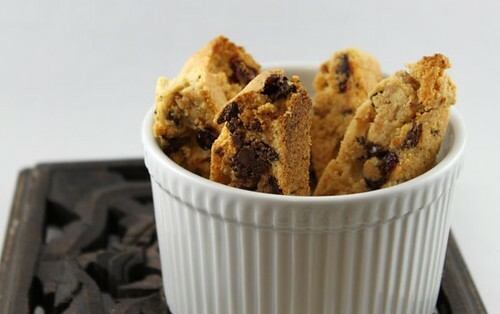 Flip the biscotti and bake for another 15 minutes, until crispy and lightly browned. Store in an airtight container, they should last about a week (if you don’t eat them all right away). They’re alive! The succulents have survived 2 weeks and I’m feeling somewhat confident with my green thumb right now, so I took on another plant project. Herbs are my safety plant. They are fairly easy to grow and fun to add to homemade meals. Just wait until you can tell people that you made that fancy pesto dinner with basil from your garden. For a fun change of pace, I stopped asking my mom to save me toilet paper rolls, and had her reserve a few empty soup cans instead. (I really have to stop asking people for their trash…It causes a lot of awkward pauses on the phone). 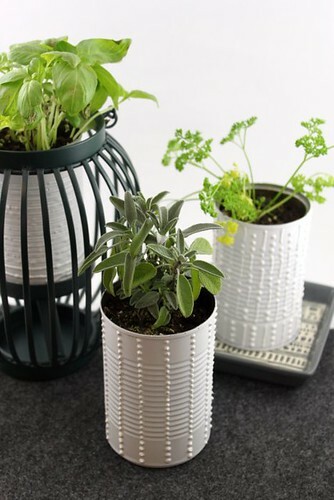 You can buy small starter herbs from your local hardware store or nursery for about a $2 each,or grow them from seed. 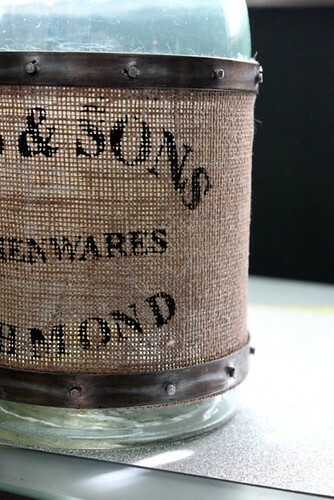 With a little puffy paint and spray paint, you can even dress them up a bit. 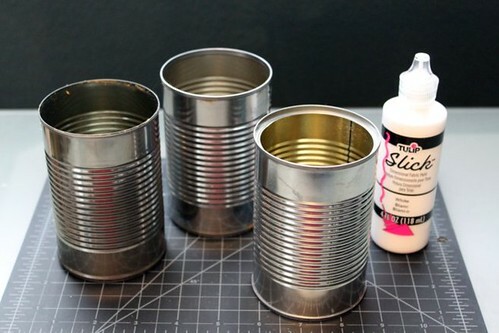 Using the puffy paint or hot glue, add some designs to the cans. I prefer puffy paint over hot glue only because the hot glue strings can be a pain, but I believe in using what you have. No need to pay for puffy paint if you have already have something that will work. After the designs have dried, spray paint the cans. I went with white, but a mix of colors would be really pretty too. 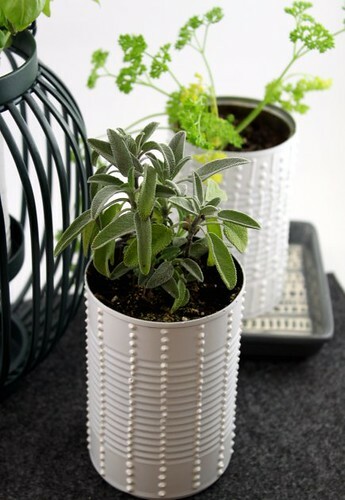 Using a nail and hammer, add a few drainage holes to the bottom of the cans. 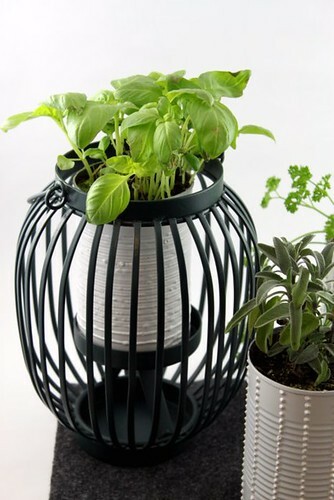 With a little bit of added potting soil plant your herbs. In a lucky turn of events, the cans happen to fit the standard candle holder. 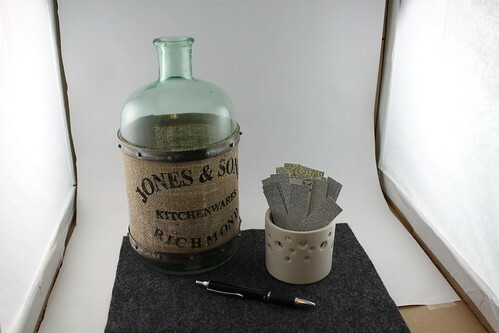 I was able to set a can in the lantern and it added some fun and height to the vignette. Eventually these plants will outgrow the cans, but when that happens I can move them to a larger pot and rotate in some new herbs to the cans. Christmas may be over, but the Joy of Winter is just beginning. Many places have been experiencing a very mild winter so far, but I hear reports of snow hitting hard in some parts of the country. We don’t get snow down here, but it’s beginning to feel a lot like Christmas Winter! However, sometimes a chilly breeze and a swaying Palm Tree aren’t enough winter for me. 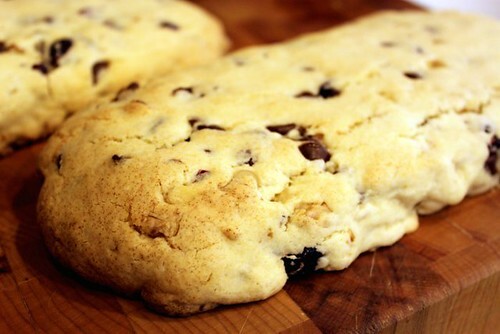 These make me want to wrap up in a thick blanket in front of the fire with a cup of tea. One of the biggest struggles I have with this blog is the photography. I work a full time job during the day which limits the amount of time I have to take picture with daylight. This becomes a bigger problem when I try to document recipes. I cook at night and often battle the yellow and bar lighting in the kitchen. It’s nearly impossible to get a good picture without spending hours in editing. 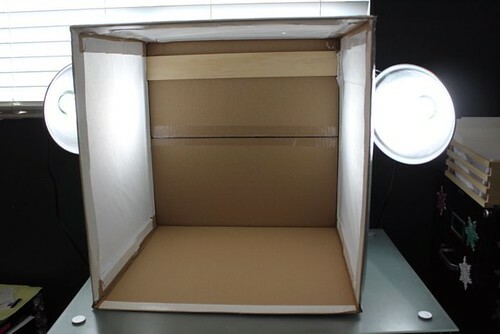 In an effort to increase my photography skills and reduce my photo editing time, I built a photo light box today. 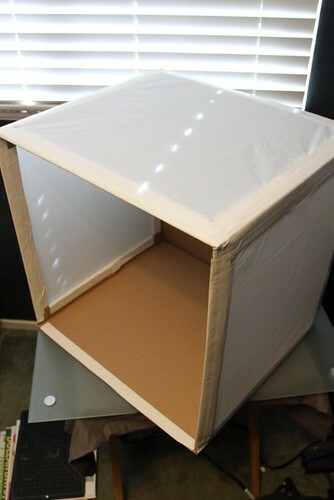 It cost under $25 and it’s easily moveable all over the house. I took a few test shots of the Gratitude Jar in the office and I think it was a wise investment. Here is the gratitude shots from this post. This was taken in the exact same spot as the next photo during the afternoon. It was the best light I could get that day and I had to do a lot of editing afterward. Here is the after! I took this today, same spot and time as the above picture, but inside the light box. It made a world of difference. Editing took only a minute on this picture. 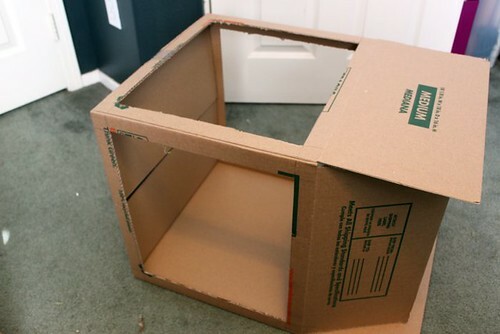 There are a lot of tutorials on the web on how to make these boxes. I did my own research before I started and followed the basic directions found via Google. However, I did make a few adjustments, especially in how I hang the lights. In stead of taking up a lot of space on countertops or rigging up chairs with the lights, I found a way to hook them directly to the box. 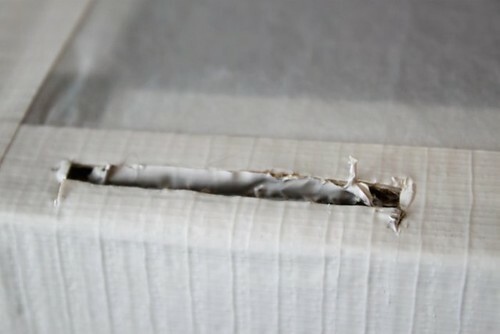 Using the packaging tape, close the bottom of the box. I cut out a large hole on three of the sides of the box. 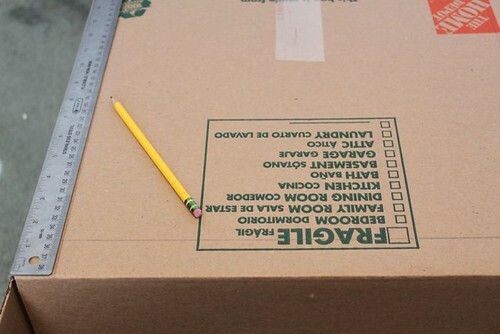 To keep them even, I used the ruler and pencil to mark off the cut lines on all three sides. 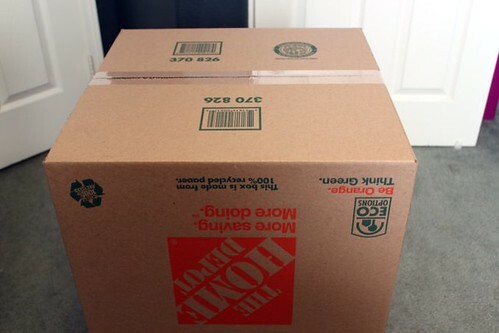 I used a box cutter to cut the box. Cut off the flaps is the easiest next step. I wanted a little more support for the edges, so I cut them down and folded them back. I used White Duct Tape to secure all the edges. It doesn’t matter what color you use. I had the white on hand from a project that didn’t quite happen so I thought now would be the perfect time to use it. 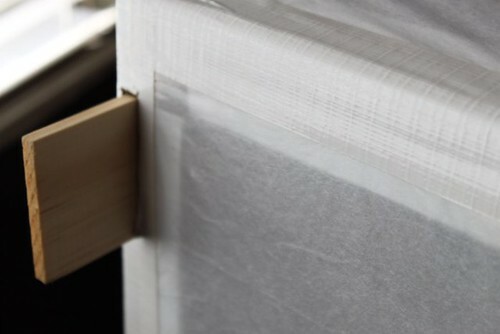 Duct Tape will give you good support, but use what you have; masking tape or painters tape work well too. Tape a few sheets of tissue paper over each opening. This will diffuse the light created by the lamps. 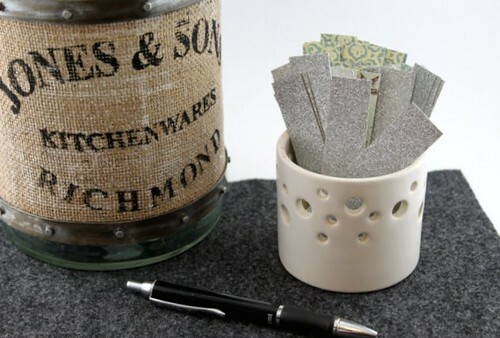 Of course you can also use white linen or other fabric as well. Next I cut slits big enough to fit the thin piece of scrap wood across the back of the box. 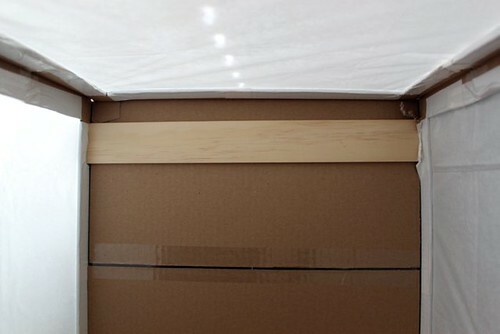 Make sure the piece of wood is long enough to clip the lights on either side. 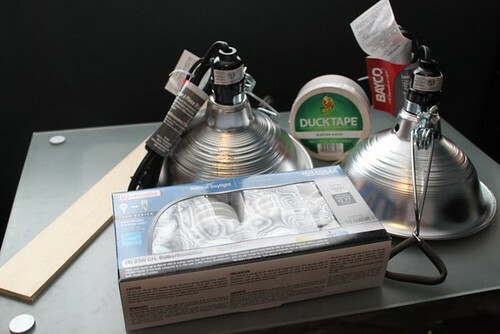 Attach the clip utility lamps. 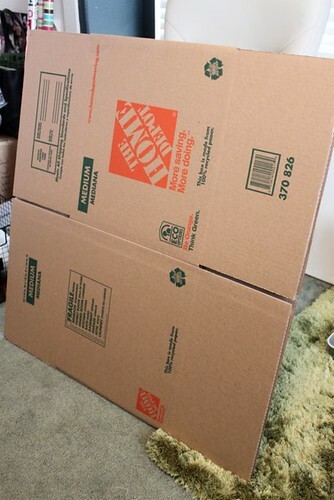 Using the back of a piece of wrapping paper, tape the background to the wood plank across the back. 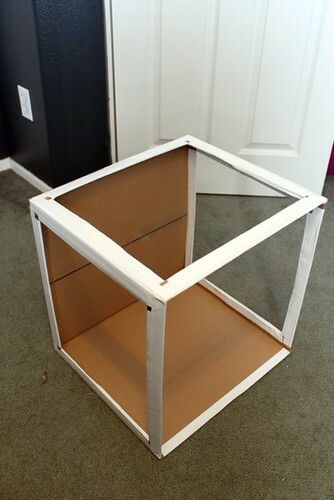 The great thing is, I can change out the color anytime I want and the scrap wood makes an easy place to hang the paper. If you count the time in which I’ve been dreaming about the finished fireplace, it’s been a long 18 months. 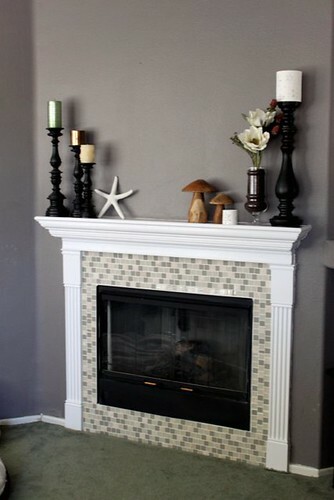 The fireplace felt like a daunting task and I’m a little shocked that I actually did it (with some help, of course). 18 months of dreaming has turned into a finished fireplace that is better than I could have imagined. I’m so excited that I’ve been doing a little happy dance over here for the past 3 days. Here’s a quick look back at the journey. 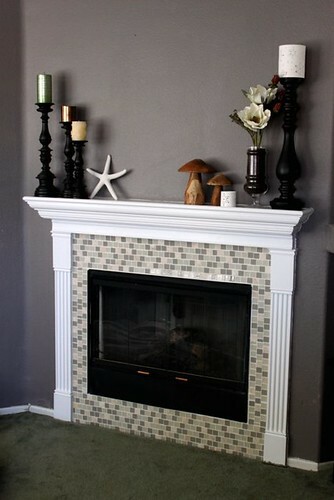 A basic black and brass gas fireplace insert surrounded by beige 8 x 8 inch tiles. The tile color was actually more of an almond color and looked awful. It was in bad shape and the grout was cracking all over.We tried patching it at one point but clean grout just made the rest of it look dirtier. 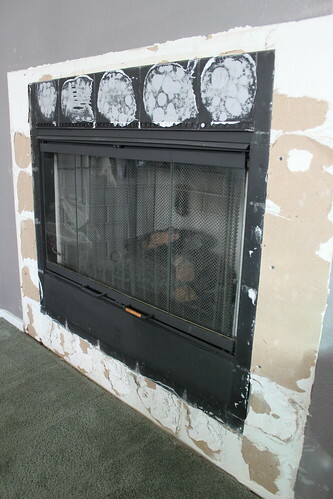 At some point the previous owners had tried to burn wood in the gas fireplace so there was soot all over the top which isn’t very visible in the picture. 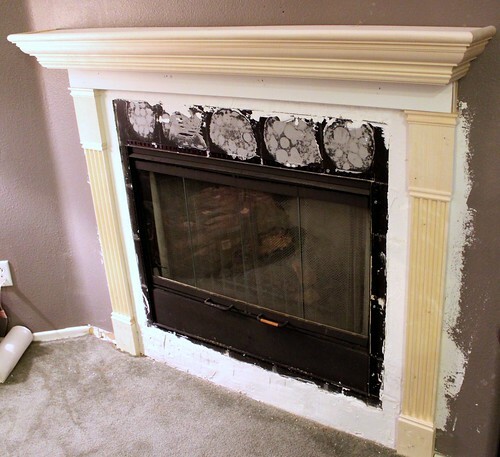 The first step was to paint the fireplace screen. I did this first because I knew if I got paint on the tiles it wouldn’t matter since I would be tearing them down. It was a good start and made a big difference to get rid of the brass. Plus it cost less than $5. Next I started tearing the tile down. This took a few weeks since I was only able to work on it for a few hours every couple of days. I quickly found that the builders had adhered the tile with construction adhesive which made for some difficult removal, especially on the bottom row. A little drywall repair was in order, then we began installing the prefabricated mantle and pilaster set. That solid white strip of wood under the mantle was later covered with a more decorative moulding. This was all followed with another few weeks of nail setting, filler, sanding, and priming. 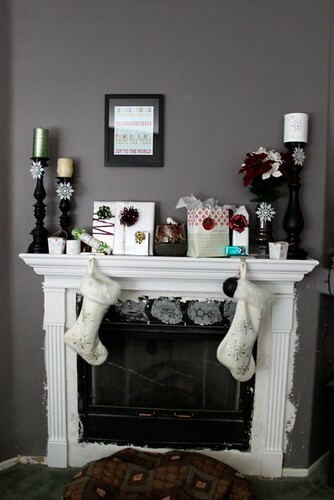 At this point we celebrated Christmas and I was able to hang stockings on my ‘in progress’ mantle. This is where I asked for your help on tile choices. After choosing the tile, this past weekend we installed it, grouted, and painted both the surrounding wall and put a few coats of white gloss on the wood. So which tile did I choose? Option 1 was the winner! Why did I pick Tile Option #1? A lot of it had to do with the price. Option 1 tiles were clearance at Home Depot. Each sheet was only $3.76 as opposed to the $11-14 per sheet for all the other styles. So instead of paying about $100 for the tile, I only paid $30. So while Option 3 was actually my favorite, it would have been very expensive and difficult to cut down. I did have to cut some of these tiles, but with a pair of Tile Nippers purchased at Lowes, it was fairly easy. 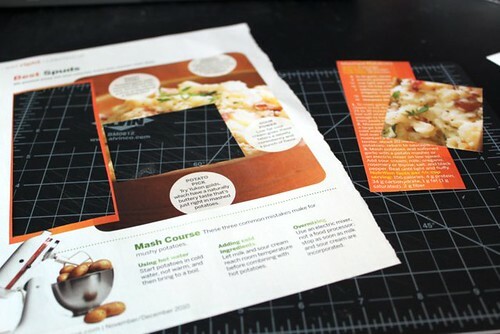 This was another positive to option 1, most of the other styles would have required more extensive cutting. 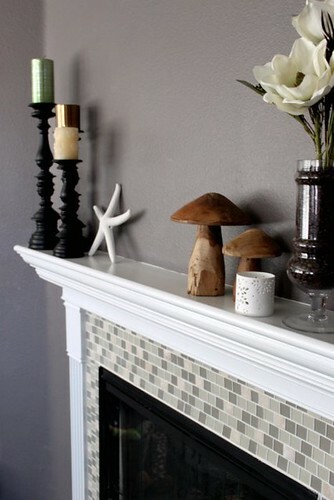 Now I have the opportunity to create pretty mantle designs. Right now I’m loving a natural winter theme. I changed out the candy corn from this project and replaced it coffee beans. The flowers are from Hobby Lobby, snowflake candle holders were from the Crate and Barrel Outlet while everything else came from Homegoods. 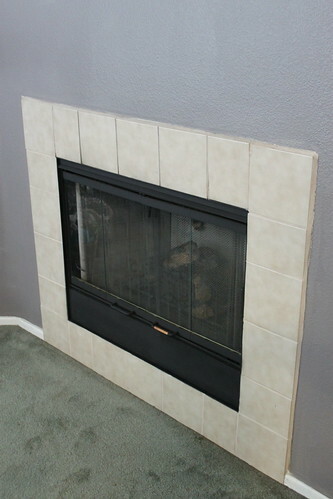 Originally I had thought it would cost closer to $400 to finish the fireplace, but I was able to catch some great sales and the clearance tiles meant that I was able to cut the cost down under $250. Well worth it and I think it really adds to the house. 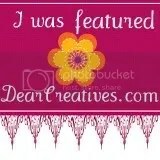 **Edited to change the cost of the Pilaster set. I origianlly thought it was $104, but after finding the receipt it was really $64. 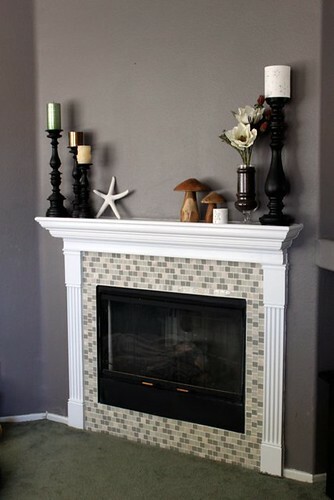 The $104 was the origianl cost of the Mantle kit, but it was on sale for $84. 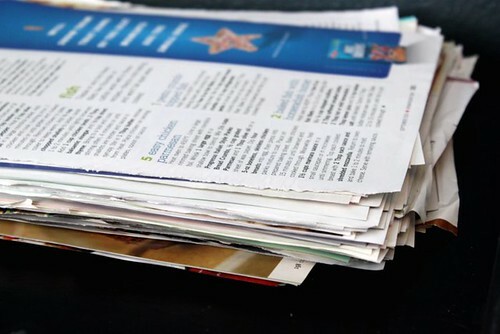 I already shared my love for ripping apart magazines to create inspiration books; but I also have a thing for ripping out stacks of recipes from every magazine I can find. 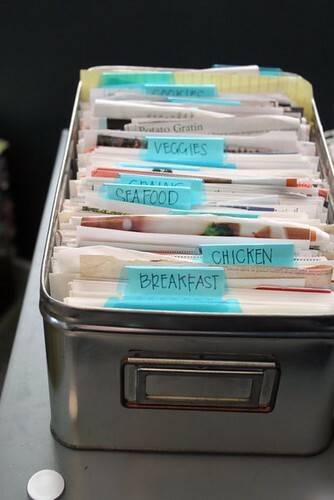 It’s a great way to find delicious recipes, but storing those loose pages is a nightmare. Every month the stack gets bigger and bigger. I can’t find anything in it and there’s not much luck that I’m going to flip through that stack for dinner ideas. Granted some are small enough to cut and file in my Recipe Box, but others are not as convenient. I used to write them up on individual index cards, but let’s face it, that’s just painful and tedious. 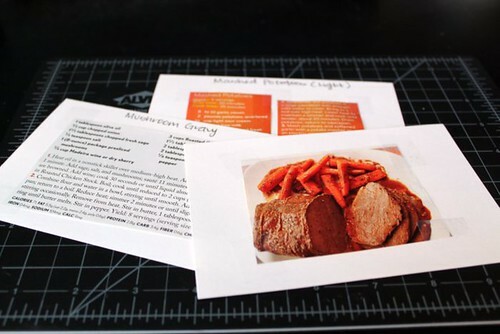 So I came up with another way to keep the recipe intact, easy to file, and the pictures gets to remain with the recipe (BONUS!). Start with a recipe you pulled out of a magazine/newspaper/brochure/newsletter, etc. 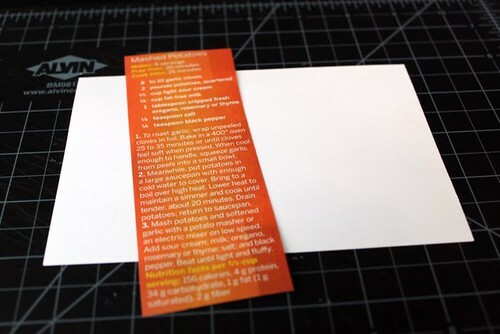 Get an X-acto blade (or scissors) and a blank index card. 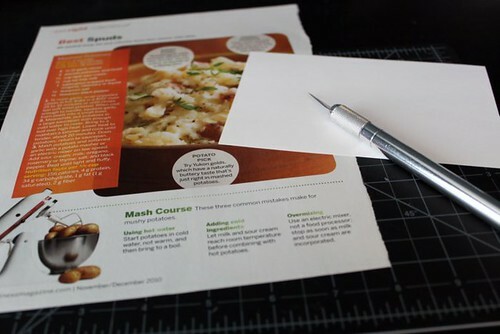 Using the blade, cut out the recipe and a section of the picture. Unfortunately most won’t fit perfectly on the card. Luckily, it’s easy to fix. 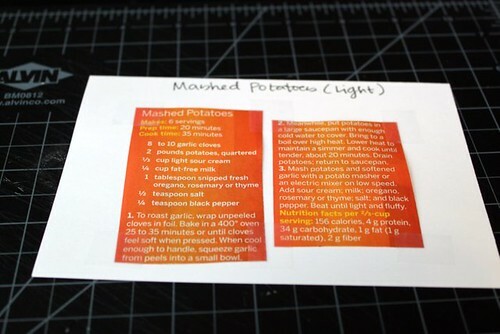 Find a convenient place in the recipe and cut it in half and secure to the card using a glue stick or tape. I usually use tape, they seem to hold up better. On the back of the card, I tape the picture. 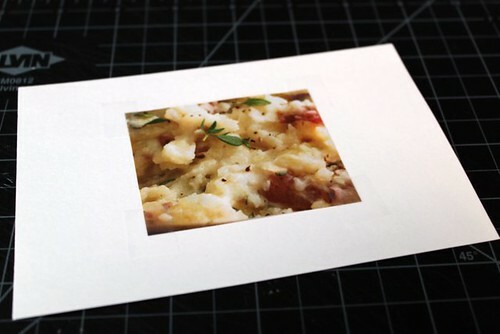 I try to do this with every recipe so I can easily flip through the pictures instead of the reading through the recipe. We eat with our eyes first anyway, right? Now would be a good time to make a note on the card about where the recipe came from. 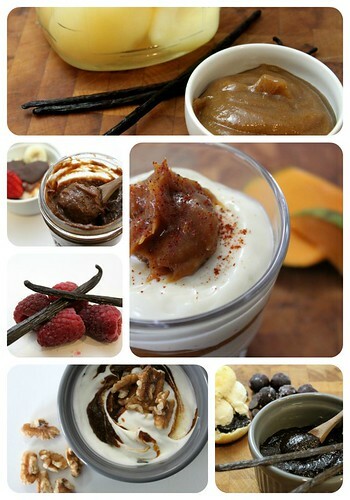 This is especially helpful if you are a blogger and want to properly source the recipe in a future post. 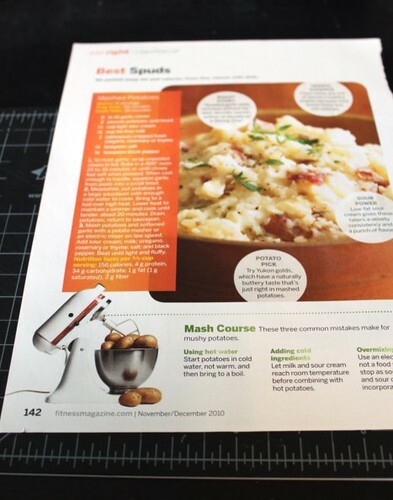 Now, my magazine recipes are the same format as all my other recipes and can be easily filed in my recipe box. Where I’m now much more likely to flip through them instead of just leaving them in a file or cabinet somewhere.